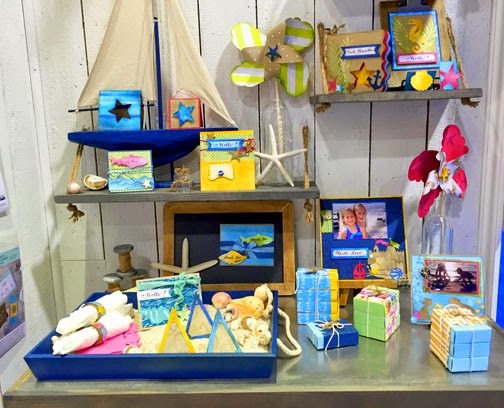 Sharyn Sowell's Blog: Beach goodies + crafting = BLISS! Beach goodies + crafting = BLISS! 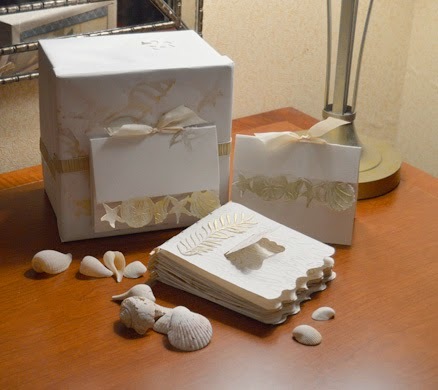 I probably shouldn't admit it but I'm head over heels in love with my new beach dies from Sizzix! This is such a versatile collection of crafting goodies that can go from bright tropical colors to elegant sophisticated. Here it is at the recent Craft and Hobby Show for the big release of new crafting product. 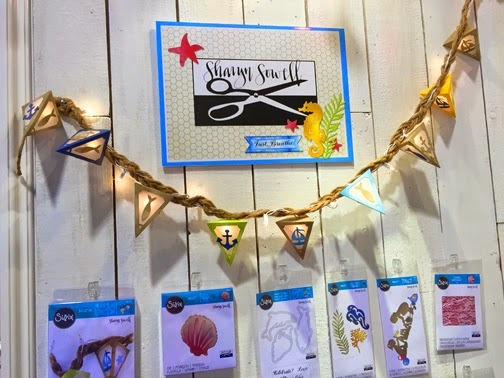 I'm so excited about this collection of wonderful crafting dies by Sizzix, the premiere manufacturer of imaginative craft dies, cut outs, and embossing technology at a very affordable cost. 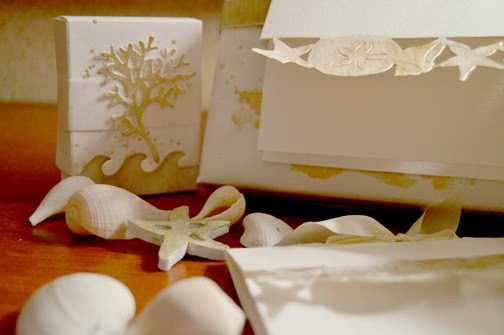 The craft dies ship in April and I'll be available to do workshops and all kinds of fun crafting times, so if you have a craft or scrapbooking store nearby, let's craft with BEACH LIFE together, shall we? 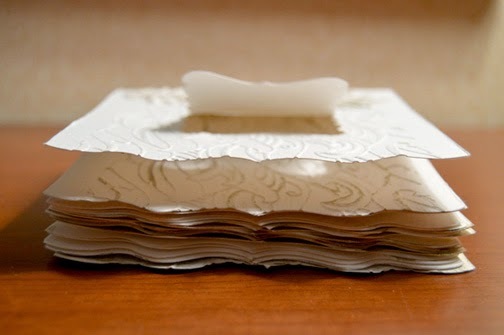 Next time we'll talk about how you can use the dies with fabric and leather. Woohoo... 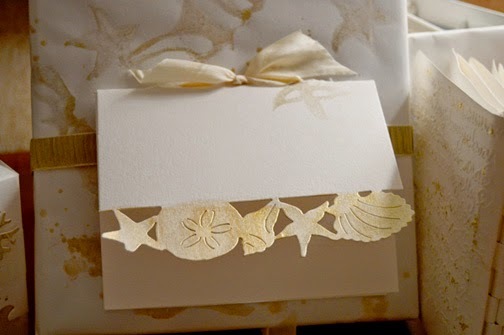 I can hardly wait to show you a few ideas for books, purses, lighting and more! If the beach is your happy place (it is mine!) you're going to love it. Sharon, I love what you've been doing of late, how clever and wonderful for crafters everywhere! Heading workshops sounds like a lot of fun to me, I can hear the laughter now. I loved your comment on my latest venture, Yes, I did give myself "Permission" to do something different for a change...but I still feel a little guilty that I am not working on a book at the moment. Some habits die hard, and my habit is feeling guilty when I should just be having fun! As an artist, I knew you would understand this. Much success on the future of your Sizzex projects ! I've missed your blog! Having the seventh child has definitely put a damper on my blogging efforts. 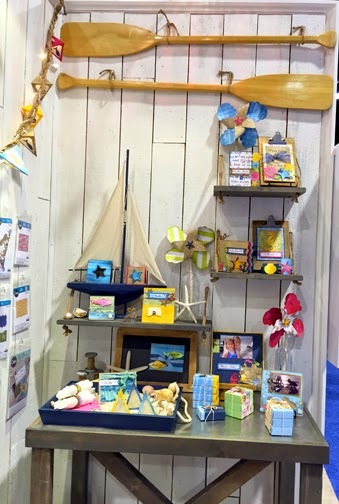 :) The beach goodies do look like lots of fun, and I would LOVE to be close enough to go to any workshop that you do! Local. Sustainable. And very, very sustaining. Planning ahead... England and beyond!